This is the third installment of a multi-part posting discussing how to start a job search. Previous posts have discussed your emotions when starting a job search and getting organized. This post will discuss creating a short list of targeted companies. Create a short list of target employers you would be interested in working for. It may be only three, five, or ten companies. Add to the list as you discover new companies. But the point here is to start the list and get you thinking. Now, look up the companies on LinkedIn. Follow them by setting up alerts to receive news, press releases, and job postings. Google Alerts may also be used. If you have Twitter, follow the companies (check out Twellow at www.twellow.com and Wefollow at www.wefollow.com) to receive information/tweets. This starts the flow of information from these companies (and others you’ll add), including jobs and industry trends, which will benefit your job search. Add this information to your Excel spreadsheets to create a complete picture of each company before moving ahead, to eliminate needless backtracking for additional research. © 2015 Brian Howard. All rights reserved. 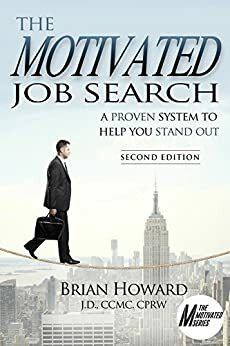 This is the second installment of a multi-part posting discussing how to start a job search. Get organized. You will need to make lists—of companies, people, and “to-do” lists. Think through how you will keep track of everything. Relying on your memory or sticky-notes in a shotgun fashion is a recipe for disaster. In the thick of your job search, you won’t be able to keep track of what you’re doing without a system. Excel spreadsheets are highly recommended for creating lists of companies and people. Only create columns for the information you will really need (name of contact, company, company website, email address, phone number, date contacted). Don’t get carried away recording non-useful information. There are commercial services that can help you stay organized in your job search. Check out JibberJobber (www.jibberjobber.com). Microsoft Outlook’s calendar feature can also help. You can record tasks to be done, schedule follow-up calls, and so on. Beyond “I need to update my resume,” many job seekers don’t know what to do, let alone in what order to do it, especially if the job search is starting from scratch. It can easily be overwhelming, especially if you didn’t expect to become unemployed or need to find a new job. In this multi-part posting we will discuss the top priorities to successfully launch your job search and reduce many feelings of anxiety. Get (and keep) your emotions in check. This is the first order of business. If you need a day or a weekend to work through your emotions before starting your job search, fine, but no more than that! You don’t have time for a pity party! Now here comes the big secret: The moment you start taking real steps to begin your job search, the sooner the feelings of anxiety, fear, and even anger will fade. Not dwelling on the past moves you forward to your future and your next job!